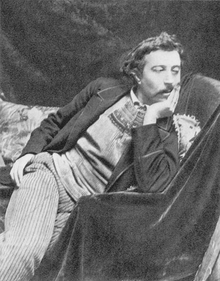 French post-Impressionist artist Paul Gauguin was an important figure in the Symbolist art movement of the early 1900s. His use of bold colors, exaggerated body proportions and stark contrasts in his paintings set him apart from his contemporaries, helping to pave the way for the Primitivism art movement. Gauguin often sought exotic environments, and spent time living and painting in Tahiti.